Seeing your summer someone this Fourth? Here's how to make red, white and blue super chic. Summer is suddenly in full swing, and the Fourth of July seriously snuck up on us! While you scout out prime firework watching spots and stock up on some all-American eats, we give you plenty of patriotic outfit pairings that make red, white and blue look oh so chic! Whether you're snuggling up with your summer someone to watch the light show or having a boozy BBQ in the sun with your boyfriend, choose one of these fashionably festive outfit options to celebrate the fourth! Flaunt your stems in these Rag & Bone denim cutoffs, and add this Free People flag pullover for a touch of festive vintage flair. 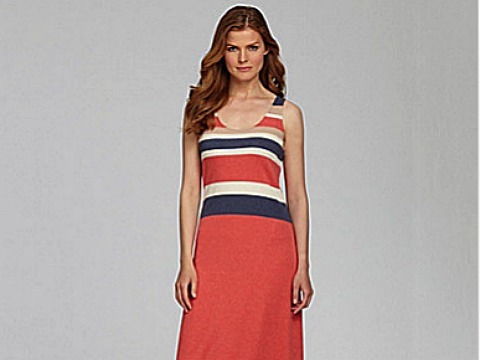 Red, white and blue stripes, this comfy-chic sleeveless dress is a colorful nod to the holiday that is more low-key then loud. 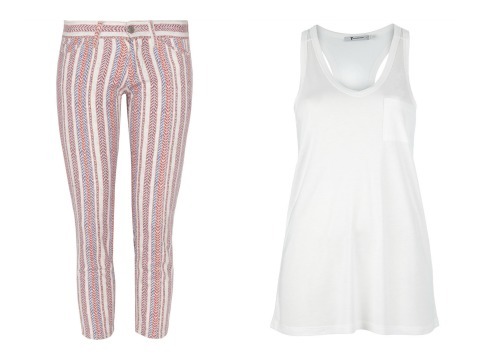 Pair these summery white jeans with this chambray tie dye vest for a playful patriotic edge. 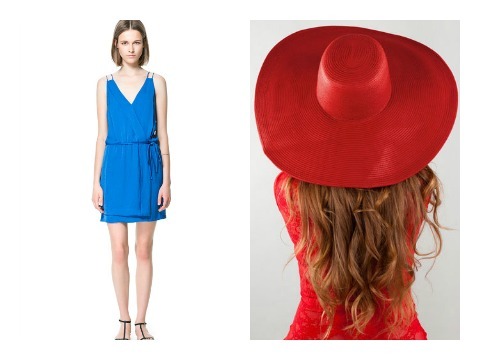 Wear this casual navy dress with a big floppy red hat for a festive style statement. 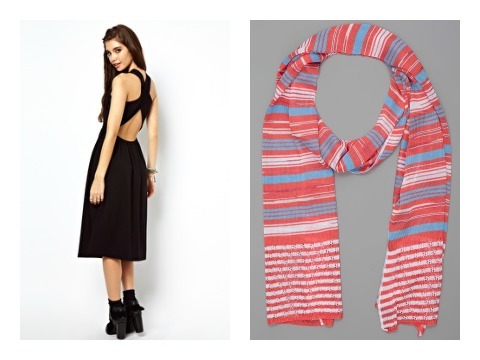 Go bright in this fire engine red sundress, and accessorize with this patriotically patterned Missoni scarf. With skinny stripes, these pants have a funky retro vibe. Tone down the red, white and blue with a simple white tank.